Eat well with delicious chef-prepared healthy meals & snacks that never leave you hungry. Seminars & workshops to educate yourself nutrition, goal setting and mindset subjects helping you…. Full daily schedule of activities designed to maximise your results and help you change your habits. A program designed to help you achieve maximum results and give you the best chance for long term habit change. Private weigh-ins (some retreats make you do it in public!). Your privacy is important – that’s why we also don’t invite TV cameras like other retreats. Unlimited post program support so you can ask for our help at any time, to help you stay on track. Experienced & expert team that are experienced in getting results, and helping guests with health issues including Type 2 Diabetes, High Blood Pressure & pre-existing injuries or niggles. Small group sizes that ensure you get the attention you deserve. If you’ve tried every diet, and usually failed – then this is the place for you. You can do it – and with our comprehensive program of nutrition, education and fitness you will transform your body, change your habits and improve your life. At OnTrack we treat everyone as an individual and individual results vary person to person. We will work with you, at your level, to help you achieve your goals. Get started any Sunday at our beautiful Devon retreat. Stay 1 – 8 weeks. 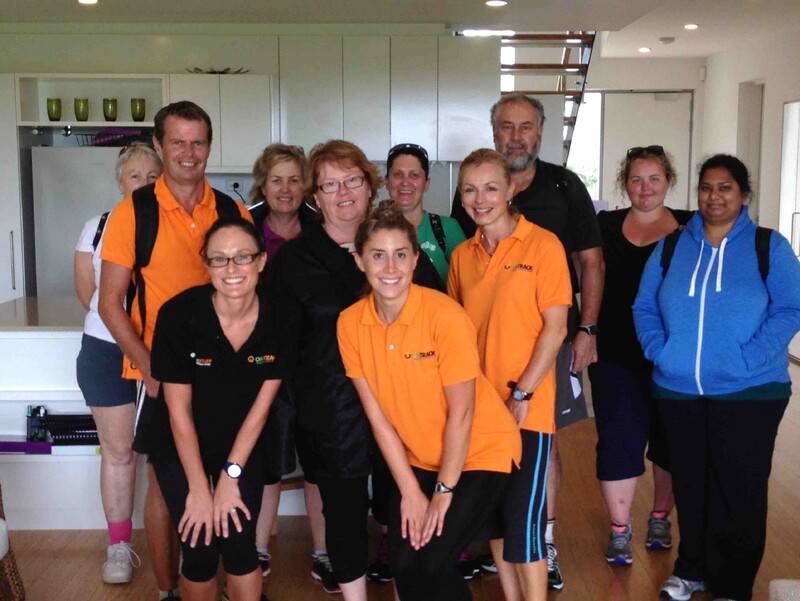 Meet and make friends with like-minded people who all come to OnTrack to get fit, lose weight and improve their life. Whether you are 18 or 65, 10 stone or 30 stone, have health complications or not, we will help you get the results you want and develop new healthy habits to help you succeed over the long term. Training sessions will be at YOUR fitness level. If you’ve not exercised before – don’t worry. Our expert trainers are there to support you and make it safe. If you are a gym junkie already then we will help you take things to a new level. Your program will be at your level. It’s wonderful I feel so much better. I have changed my life and Ontrack has enabled that!